The cables are designed for long distance of over 10km telecommunications alongside railway lines. Insulation Coloured sol id polyethylene. Cabling Element Four conductors are twisted together to form a quad. Screen PE-copolymer coated aluminium tape. Drain Wire Tinned drain wire. Screen One corrugated copper tape. Intermediate Sheath Low density polyethylene. 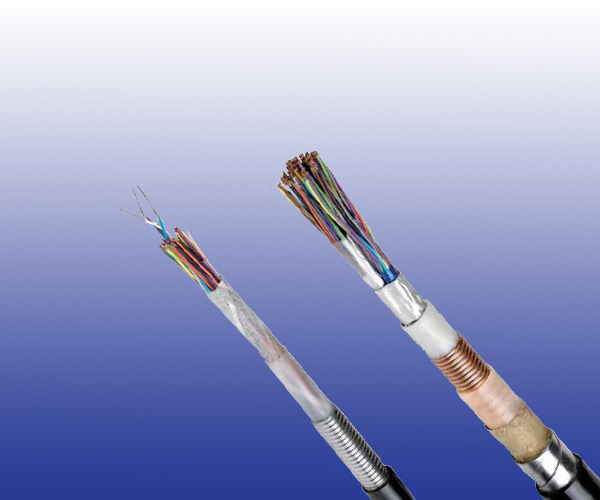 CT2329 Type (Branch Cables): For CT 2329 type, the cables have PE inner sheath, double corrugated steel tapes armour and PE outer sheath, without aluminium tape screen & copper tape.